Go here for the hints for other levels. 100 Safes is a point and click room escape game. If you are stuck, then these hints will give you some help on how to complete the level. This is not a complete walkthrough, but rather tips to assist you. If you are really stuck, use the comments section below to request more help! As we go into the level 80's, we will find some pretty clever & difficult levels, with only the odd easy one thrown in for good health. At first this looks like a very difficult one... 16 ?? 68 88 ?? 98.... Cannot find a way to make the sequence work... But, Look at it from the up-side-down and you will see some elementary school mathematics. Very easy indeed! 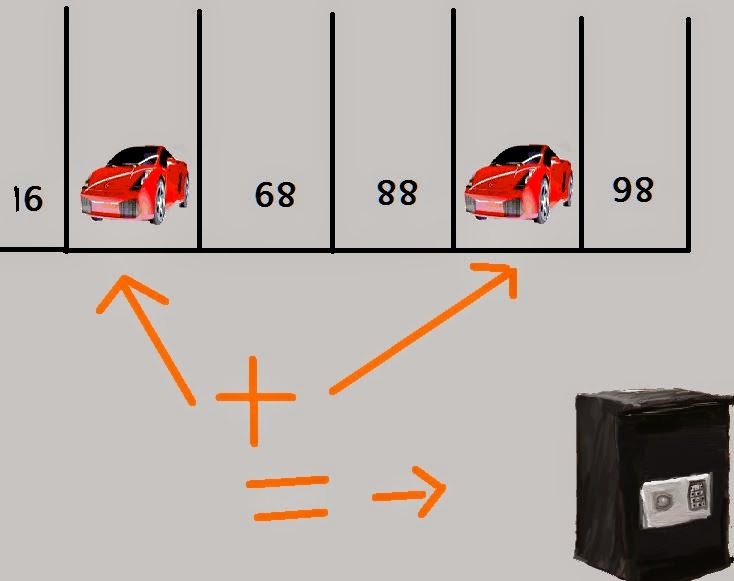 Now you should have no difficulty in getting the numbers where 2 red cars are parked. 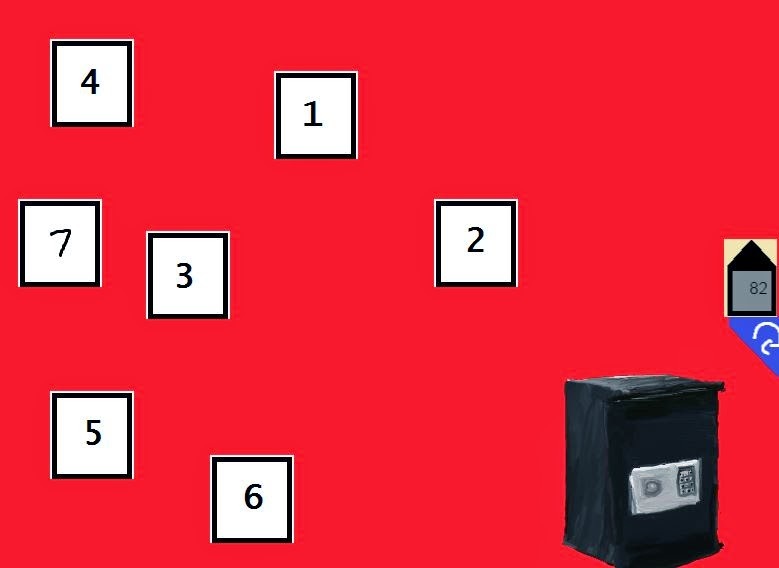 Add the 2 numbers together and you will have the combination to the safe. In level 82 you have 2 seconds to look at the 7 numbers. 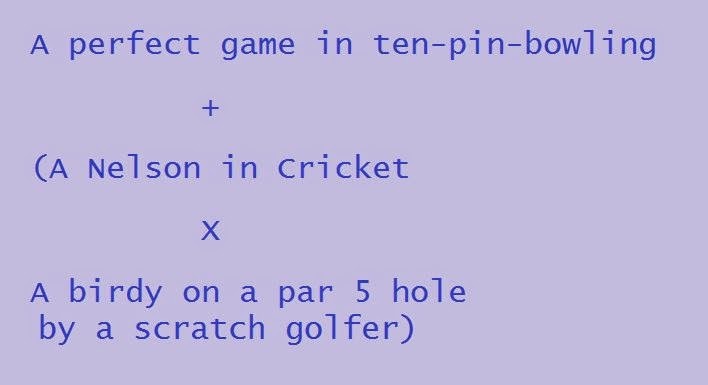 You need to remember which number is which, then tap them in sequence, starting at number 1. Each time you refresh the numbers will swap position. Once you click them in the right sequence the safe will open. If you make a mistake, you have to reset and start over. Your task is to work out the pattern here. 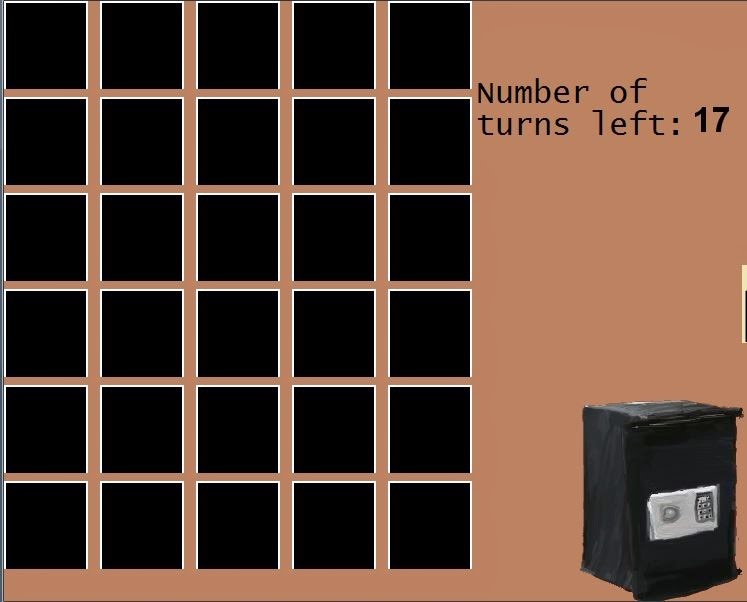 Each row follow the same pattern from left to right. Multiply all the digits in the number. Match the famous people with their names! I will help you a little bit. 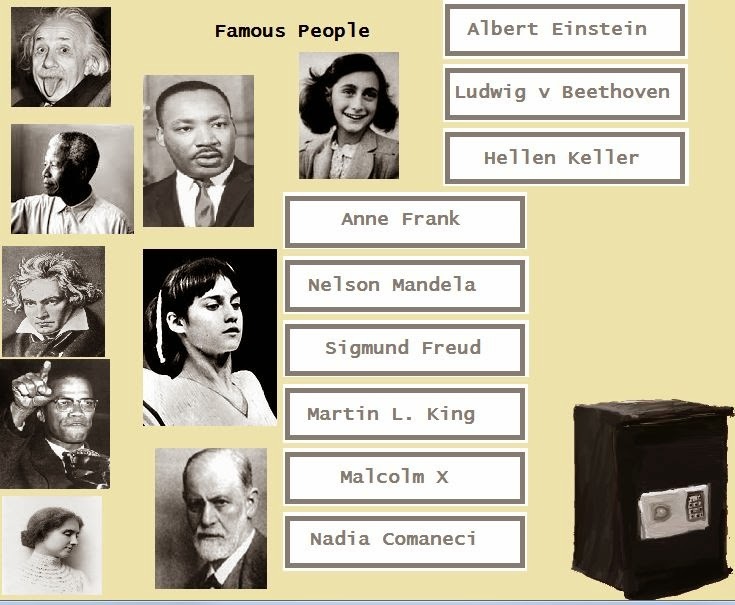 The woman bottom left is Hellen Keller. Top Right lady is Anne Frank. The famous Olympic gymnast (the largest photo) is Nadia Comaneci. Below her is Sigmund Freud. Top left is Albert Einstein sticking out his tongue. Click on a face then on a name to draw the matching line. A perfect game in ten-pin-bowling gives you a score of 300. You have to bowl a perfect strike each time to achieve this number. A Nelson in cricket is 111 runs. There are some superstition about this number and you will see come umpires raising a leg when the batting team has 11 runs. A birdy on a par 5 hole by a scratch golfer... this will be 4 shots. I will leave the maths for you to do. Psalm 119 is the longest Psalm in the Bible. It is in fact not only the longest Psalm, but also the longest chapter in the Bible. This level should keep you busy for a couple of minutes! Now you can mark off the facts and mark impossible combinations. Some of the clues give you indirect information e.g. Clue #2 tells you: Chris was not born in 1974 (because someone must have been born before him); The person in house #7 was not born in 1977 (because Chris was born after the person in that house); Chris does not stay in house #7. For more info on these type of puzzles, follow this link where the concept and solution methods are explained. 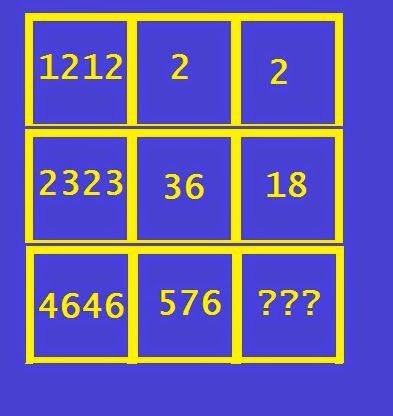 It also contains many of these type of puzzles for you to solve! In level 88 you need to flip the play board clock-wise and anti-clock-wise using the two arrows. You need to get the orange ball to exit at the green block. Hint: If you want the ball to go left, tap the left anti-clockwise arrow. If you want the ball to go right, tap the right clockwise button. 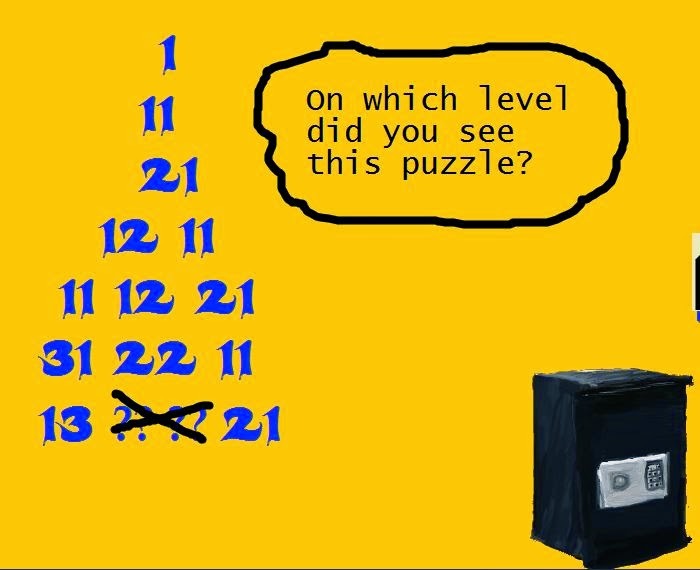 This level ask you to identify the level where you saw this puzzle... Hint: It was one of the first 50 puzzles in 100 Safes. 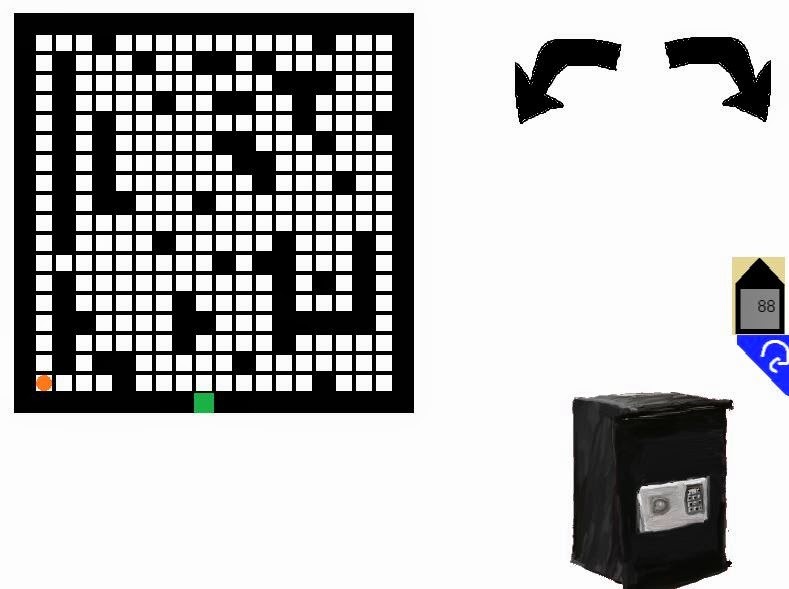 To solve level 90 you need to find the 15 matched pictures hidden behind the black boxes. You have 17 turns, but that should be more than enough because you do not loose a turn if you make a correct match. If you run out of turns you need to reset the level. Each time you reset the pictures will move randomly to other locations. My best is to complete the level with 9 turns remaining. Awesome! Chris stays in #1, 6000 income, was born in 1977. Hope this helps you! 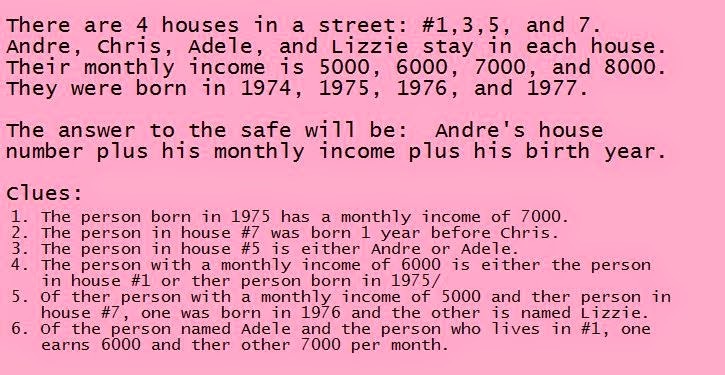 And adele 1975 7000 5 and andre 1976+8000+7 = ?